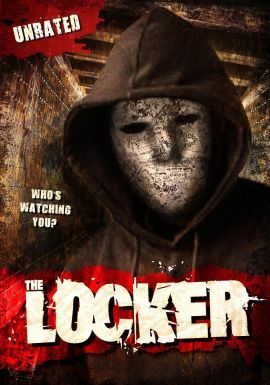 Except that The Locker was completed in 2009 and that its trivia section in the IMDb offers 10 "fun facts" (which were probably written by the makers themselves), relatively little is known about the quality of this slasher. That it got a US distribution deal 4 years after its completion isn't really an indication for a hit. But that normally doesn't bother lovers of the 1000th slasher variation as long as the cover features a masked guy and a red bloodstain with the "Unrated" brandword on it. An MPAA rating that could give us a vague idea about the content of this film doesn't exist so interested customers will have to find out for themselves when it hits the shelves in the US on May 14th, 2013.